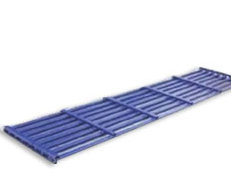 Supplier of base plate, steel span etc. Ledgers are made of 40 NB "B class pipe" with forged ledger blades that are welded at the ends which locate into bottom cups of the Vertical and are locked in place by the corresponding top cups. Length of the ledger is calculated between center to center of two vertical. 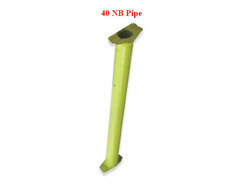 Spigot pin is used as internal vertical to vertical jointer. 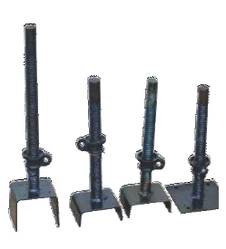 Though small in size, they are an extremely important part of the scaffolding system as they are required to support multiple stories of scaffolding. 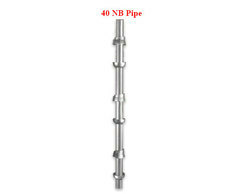 Spigot pin have a standardized sizes.